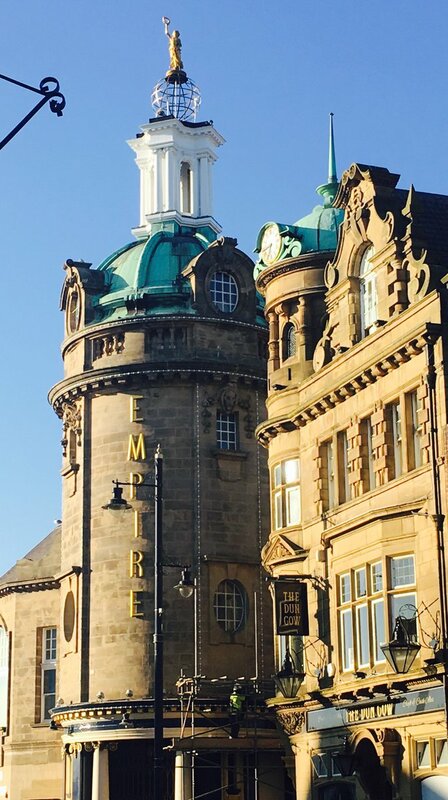 This particular project for the Sunderland Empire Theatre in Sunderland was successfully carried out between October 2016 and March 2017. 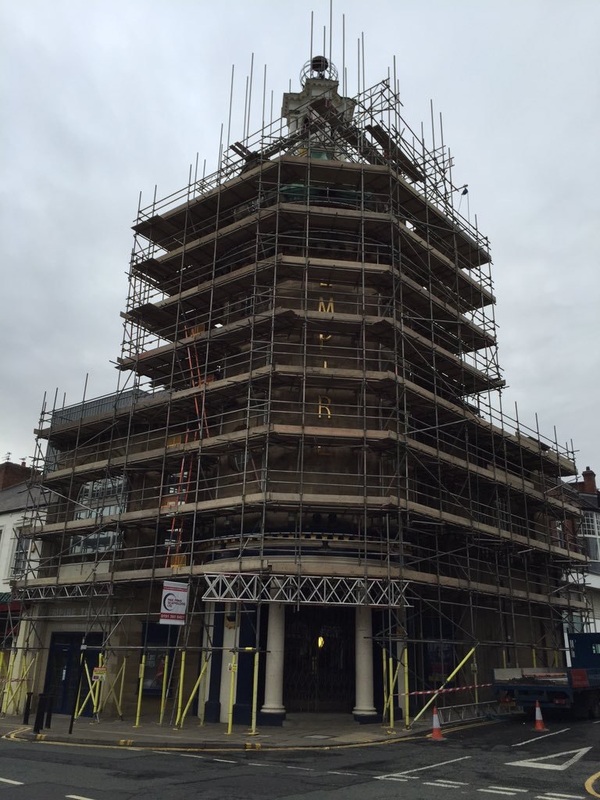 It consisted of us working on a Grade 2 listed building. Fully boarded right to the top. 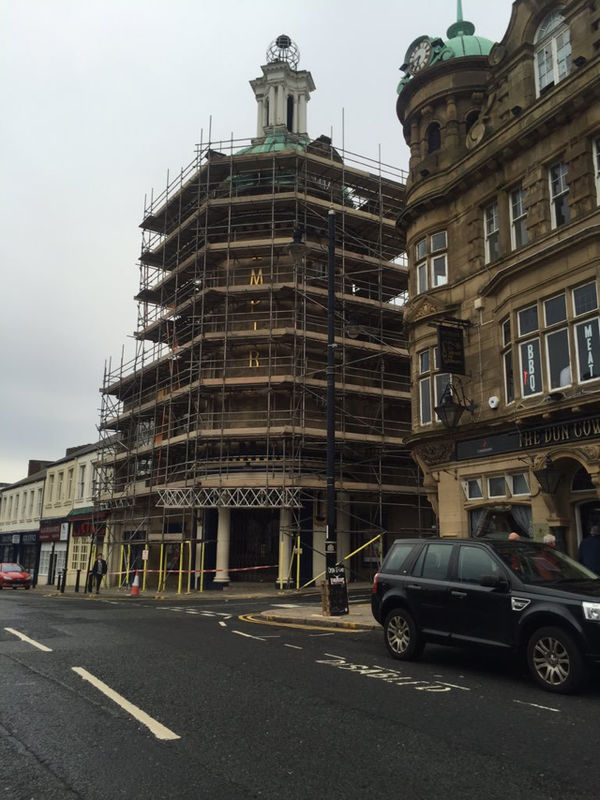 The Sunderland Empire managed to access Lottery Funding after the iconic statue of Terpsichore (the Greek muse of dancing and choral song) had blown over in high winds in January 2015. The original Terpsichore had to be moved during the Second World War had fallen close by and rocked the whole building. We were chosen to carry out this very delicate contract. Which was sucessfully completed on time and to budget. All th sheeting and advertising completed in time for Billy Elliot! Not bad but not easy! Well done to all involved.